It has been revealed that The Complete Series 1-3 has been featured in its digitally remastered form. The UK DVDs, which were recently re-released as part of a revamp alongside the complete fourth to seventh seasons, received the treatments despite previous assumptions that this was to not be the case. The surprise turnaround was divulged by fans this week who had purchased copies of some of the early series titles. For the first time, fans can enjoy the 1984 to 1991 adventures in their complete restored states. 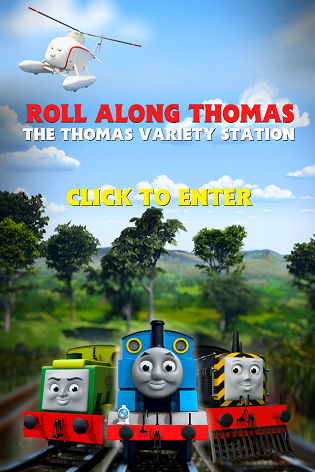 Interactive encyclopedia equivalent to Wikipedia, Thomas & Friends Wikia have since noted down the improvements on each of the discs' articles saying, The 2012 release features restored footage. Owing to this, a rise in sales on online retailer amazon.co.uk has occurred with the trio clambering above the subsequent series' statuses. It was presumed prior to the week's launches that the original broadcast visuals would aid the discs as evident by the lack of barcode re-issuing and reports made to the bbfc. The Complete Series 1-7 titles are now available to buy on UK DVD. I may live in the States, but after reading this, I;m not sure what you mean by "remastered" here, because the thing I'm hoping to see are the original video-made graphics intact (Like titles, credits and that yellow bar transition), just as they were originally shown more than 20 years ago.